“You must be Thomas? Do you want to go and find our friendly crocodile?” were hardly the first words I expected to hear as I walked into a luxury hotel. But this welcome from the friendly, vibrant receptionist set the tone for what was to be a brilliant couple of days away. The ethos of the Polurrian Bay Hotel is that parents shouldn’t have to compromise on quality just because they are travelling with children. 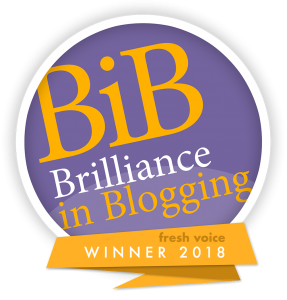 I’d heard it lots before – pre parenthood – and hadn’t taken a blind bit of notice. 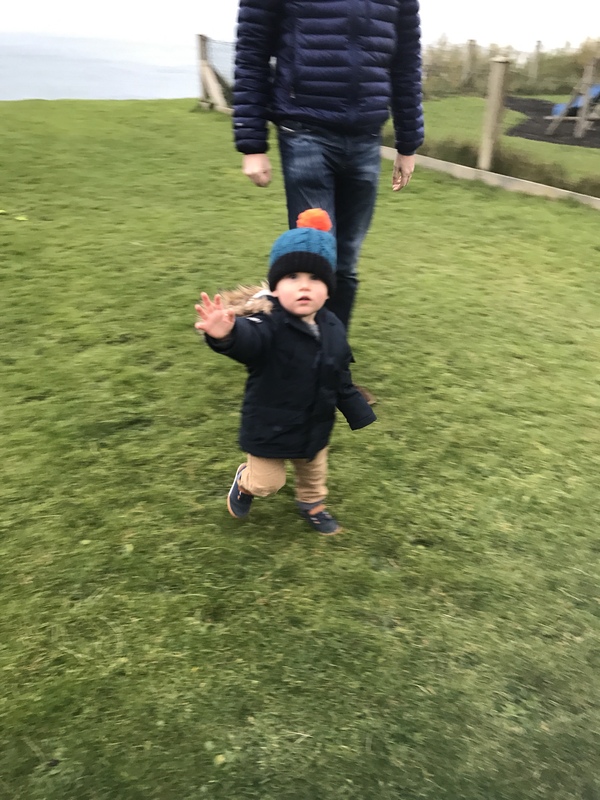 Now with an energetic and inquisitive 17 month old in tow, those words are a mantra to live by when booking a break away. 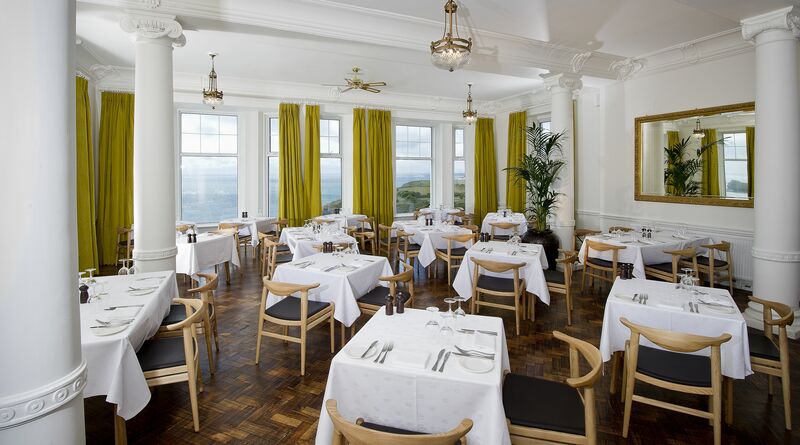 Perched on the cliffs of Cornwall’s Lizard Peninsula amongst 12 acres of landscaped gardens, the Polurrian Bay Hotel has views to die for across Mounts Bay and the Atlantic Ocean. It is in a superb position to explore the best of what West Cornwall can offer. But to be honest, it’s what’s inside that counted for us. 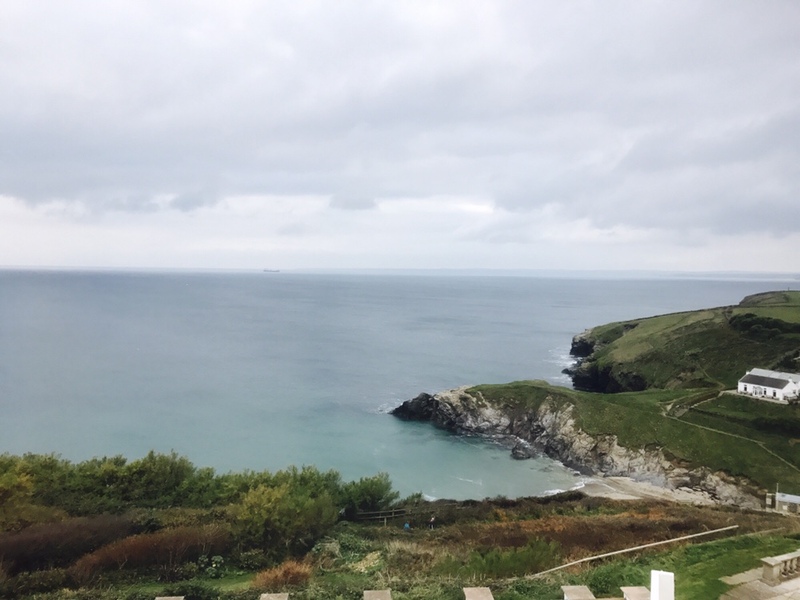 The Polurrian Bay is part of the Luxury Family Hotels collection, and I’d been lucky enough to visit one of its sister hotels in Dorset, so I had a certain level of expectation for this trip. And with a welcome like that, I wasn’t disappointed. Everything is about the child. During check-in, all the questions were about Thomas, what he likes, what he would need during our stay, and how they could help. They didn’t even need to ask my name, I was Thomas’ mummy. And this was how it should be. Don’t get me wrong, the majority of guests staying were fully grown adults with their own names and identities, but if you were there with children, everything is a family affair. 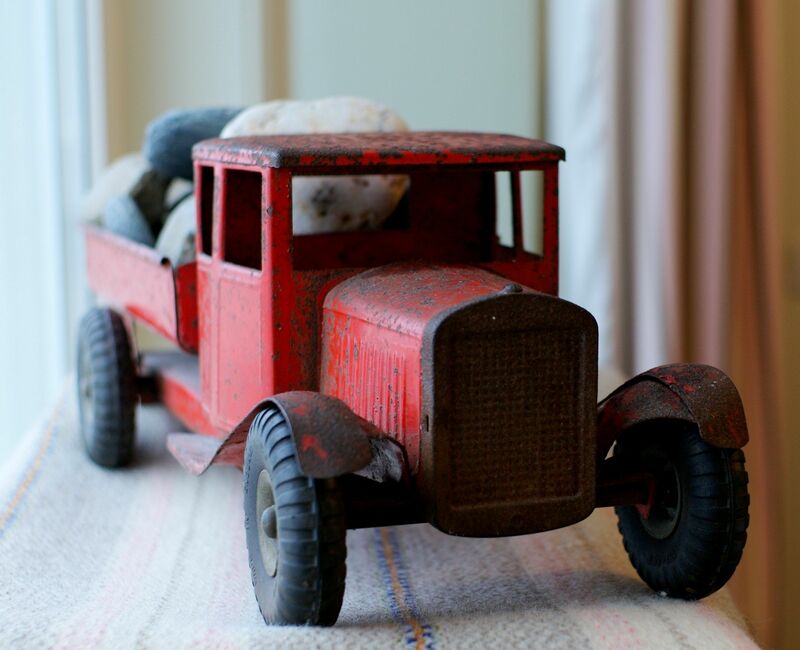 Whilst I did the paperwork, Thomas and Daddy had soon become acquainted with the friendly crocodile, found a shelf full of children’s books next to some giant comfy sofas, and an area of the hotel’s spectacular Vista lounge dedicated to pre-school toys. Thomas was in his element and we’d not even brought the bags in from the car yet. No sooner had we got to our room, we were out again playing in the hotel’s playground. It wasn’t until we could unpack our bags that we could appreciate the amount of space we had – a two bedroom suite so Thomas could have his own room. Alongside his travel cot were two single beds so we could have fitted even more people in. Our room had a super-comfy king size bed, a table and chairs and TV. The view out of the dual aspect suite was amazing – out to sea on one side and across the countryside from the other. The hotel was relaunched in July 2011, following an imaginative make-over of the public areas and the 41 bedrooms. 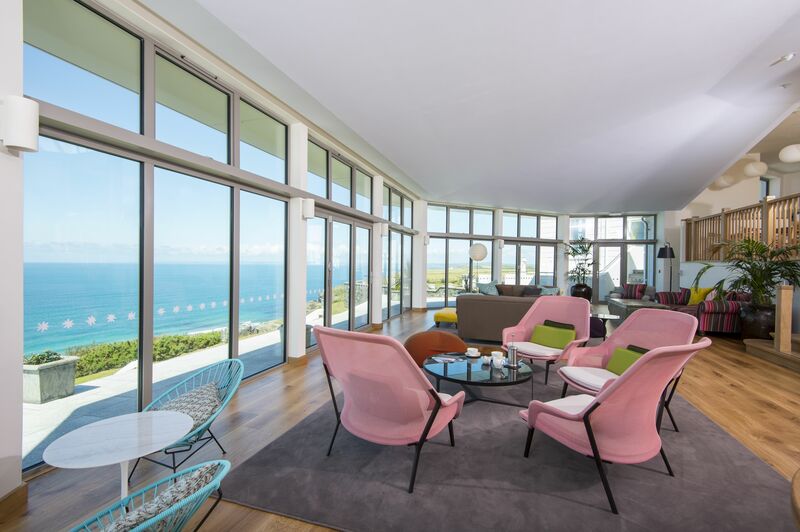 Interiors are fresh and contemporary with a boutique seaside style. 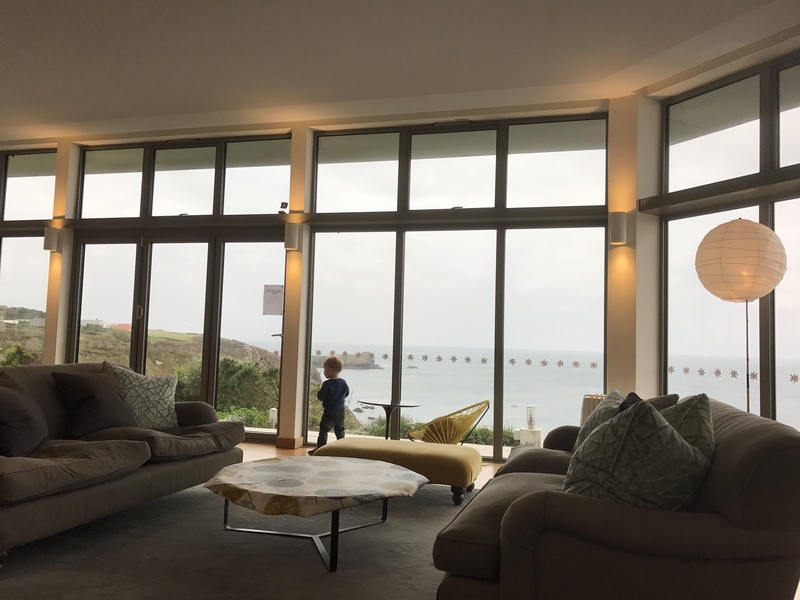 But if all you want is to take in the view and relax, head for the hotel’s stunning Vista lounge, with floor to ceiling windows and glass doors offering an incredible outlook over the Cornish coastline. 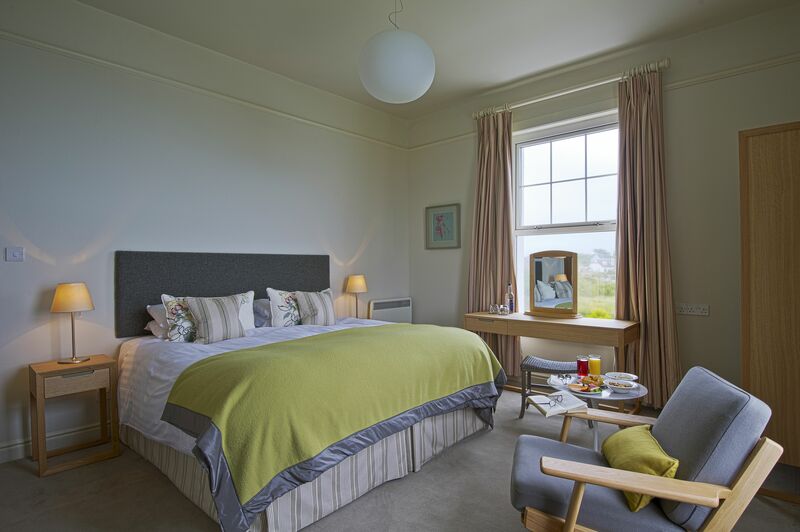 With funky comfortable sofas and chairs to sink into and enjoy a morning coffee, afternoon tea, or an early evening G&T, this is the ideal spot to switch off and drink in the scenery. 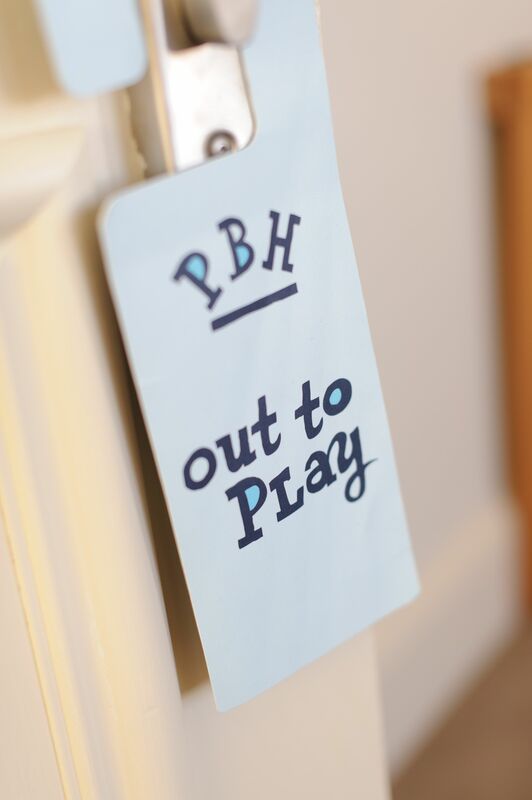 Facilities at the hotel include indoor and outdoor pools, spa treatments, tennis courts, a Piskie Village Garden, a play park, outdoor play zone with giant chess, giant snakes and ladders, hopscotch and other outdoor games. 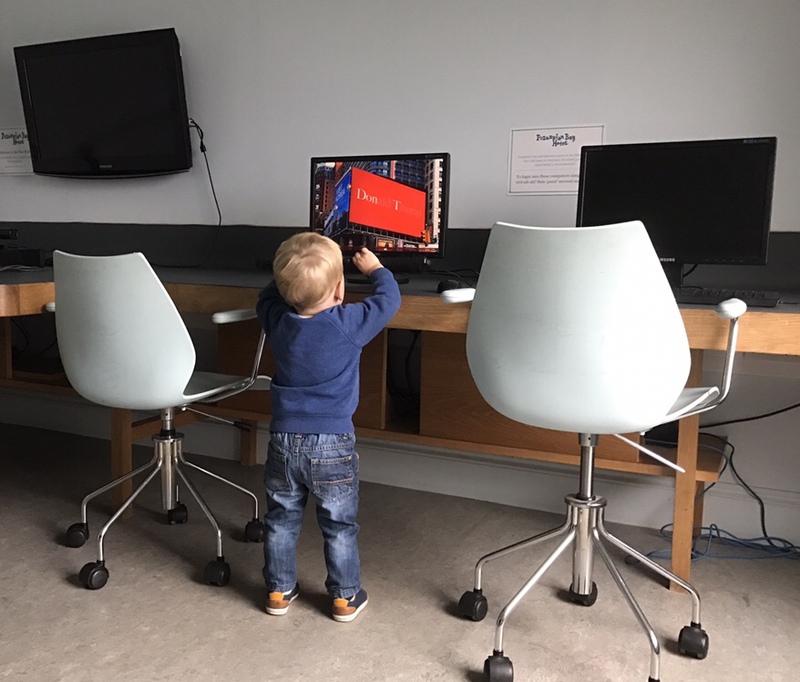 There is a cinema room which shows films for families as well as children and for older children there is the ‘Blue Room’ where they can absorb themselves in the latest video games, board games, pool or table football. 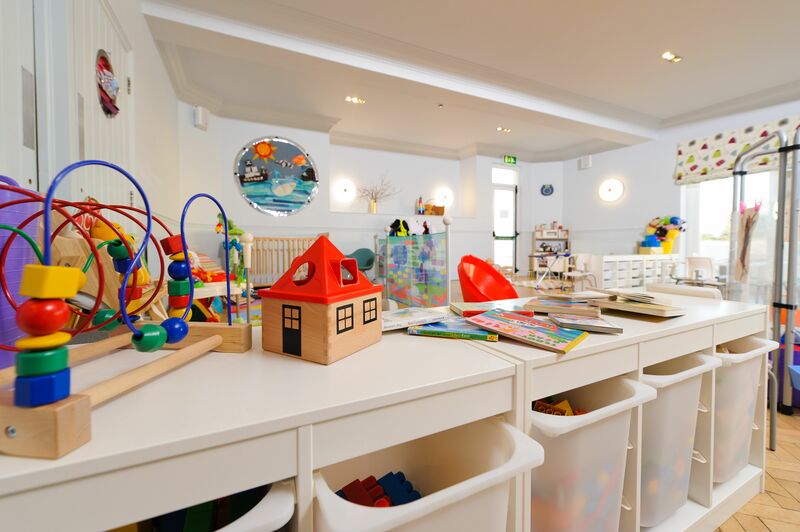 And for younger children, aged between six months and eight years, the hotel offers a free Ofsted registered creche called the Den with more toys, games and activities than I’d ever seen. 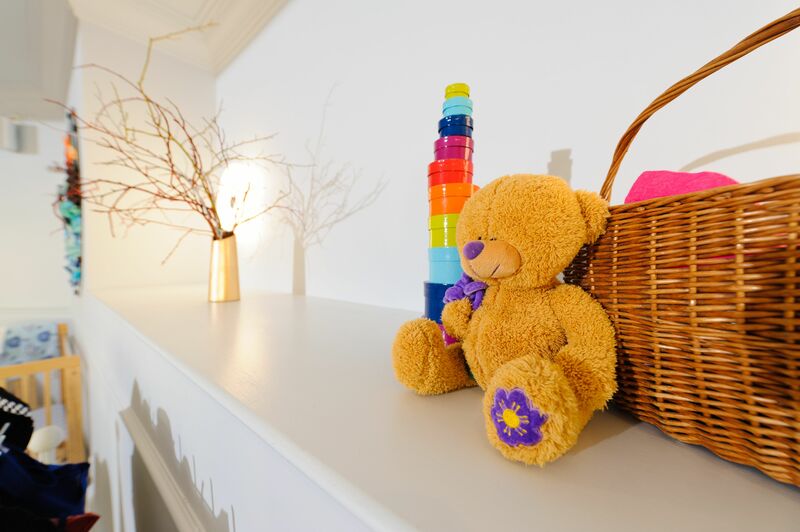 Each child has a complimentary two hour session for each day of their stay. 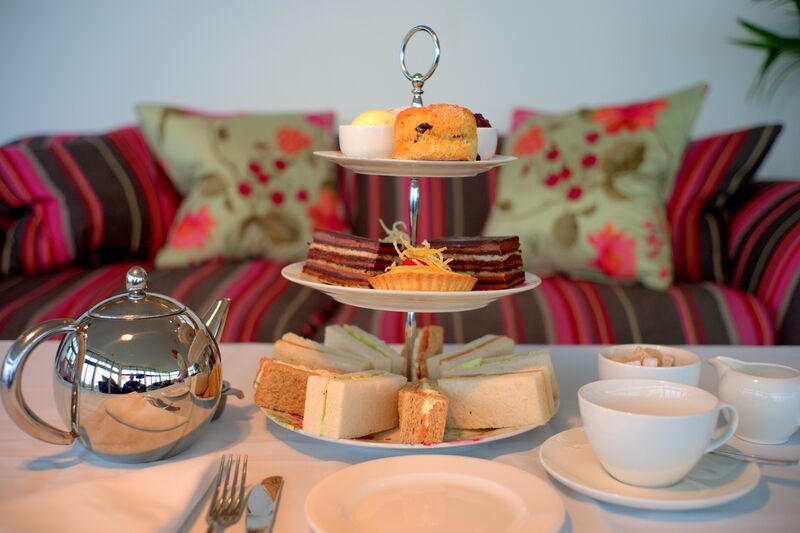 One of the highlights at the hotel is its superb Cornish cuisine. Guests can opt for family or fine dining, choosing from menus based on ingredients sourced from local growers, artisan suppliers and the freshest local seafood. As with everything in the hotel, mealtimes are designed to make things as easy as possible for families. You can choose from casual dining with your children between 5pm and 6pm, fine dining or room service. On our first night Thomas had his dinner during the Children’s High Tea whilst we had a drink and nibbles. The children’s menu was probably the most extensive I’d seen, and gave different size portion options for Baby Seals or Older Seals. 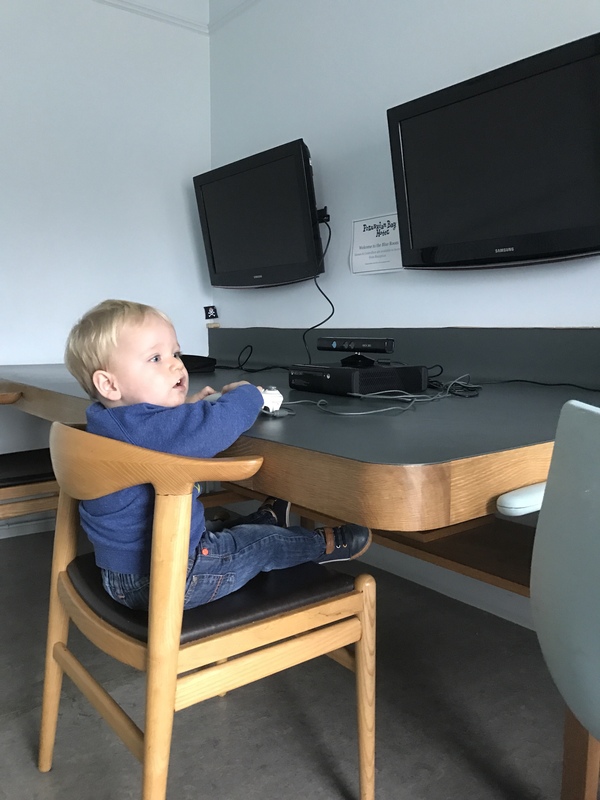 Everything you needed – highchair, bibs, plastic cutlery and crockery, even a sippy cup – is provided, and the staff won’t let you lift a finger to clear any mess up. You can even drop off your baby’s bottles for them to be washed. With Thomas then bathed and tucked up in bed, we tried out the hotel’s baby listening service (basically an audio monitor that links up to the room’s telephone that you take to dinner with you) and enjoyed a peaceful adult evening in the fine dining restaurant. The food and wine was exquisite, and we thoroughly enjoyed the evening to ourselves knowing Thomas was sleeping soundly just upstairs. The hotel also offers a babysitting service at an extra cost, or you could have your meal in the room. I would highly recommend the baby listening though! If you’d rather eat with your children, which we did on our second night, we could choose from the brasserie menu which was just as tasty. The next morning, after a delicious family friendly breakfast in the dining room, Thomas and Daddy headed to the swimming pool for an hour of splashing around, whilst Mummy chilled out. Then after a nap, it was time for Thomas to try out the Den. 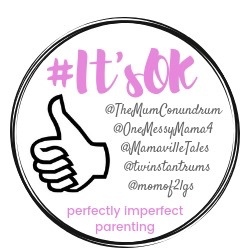 Having a stay-at-home-mum, he has never needed to go to nursery or any childcare, so we thought this was a great opportunity to see how he got on and for us to have a bit of peace. The staff Wendy and Lisa were amazing, letting us stay to play with him whilst he settled in, then distracting him whilst we slipped away. For a further hour he happily played with the fantastic toys and equipment with Wendy, even giving her a cuddle as we said goodbye. We don’t even get cuddles! We were so glad we tried it out. There is so much to do for little ones, we didn’t leave the hotel on our first day. But if you want to get out and about, the choice of places to explore is endless. Polurrian Cove, the hotel’s beautiful private beach, is literally on the doorstep and can be accessed via a path through the gardens. In the summer, children can borrow buckets, spades and crab lines from reception. 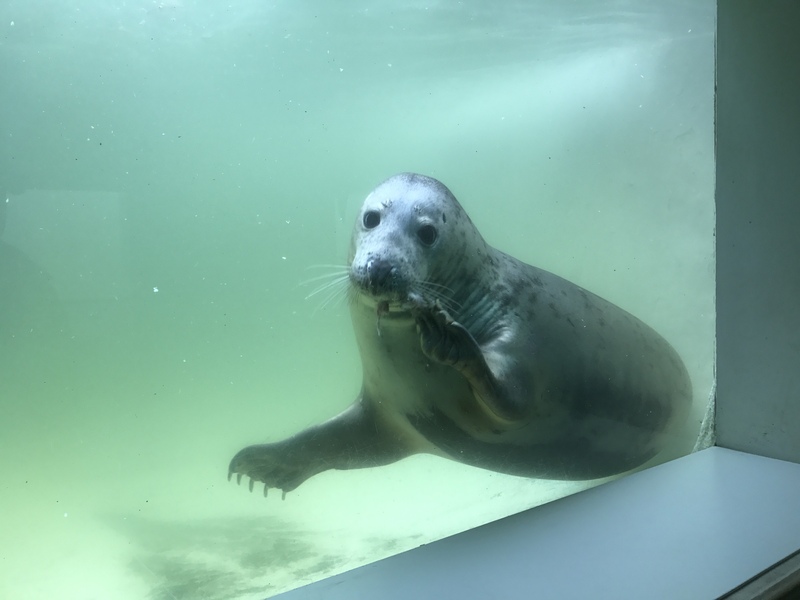 Or if you want to go a little further we had a great afternoon at the Cornish Seal Sanctuary at Gweek. 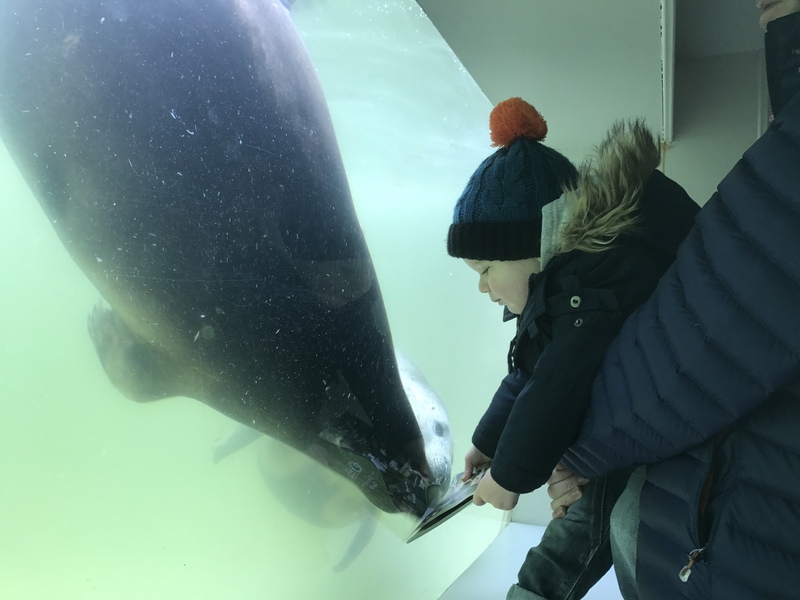 Thomas loved watching the seals from the underwater viewing area as they came up to the glass to say hello. 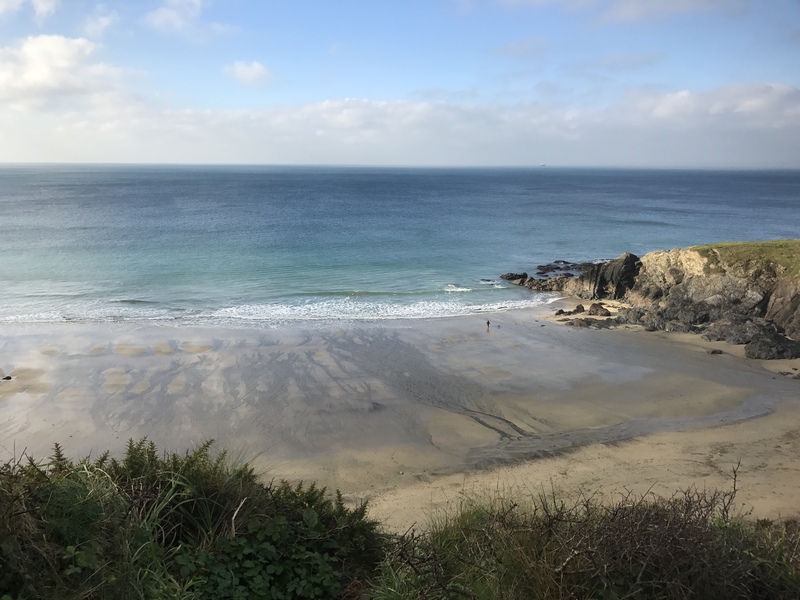 The National Trust beach at Kynance Cove is just along the coast, or visit a pretty fishing village such as nearby Coverack. Well-known Flambards is just up the road, or venture further afield to St Michael’s Mount, St Ives, Lands’ End and the Minack Theatre. 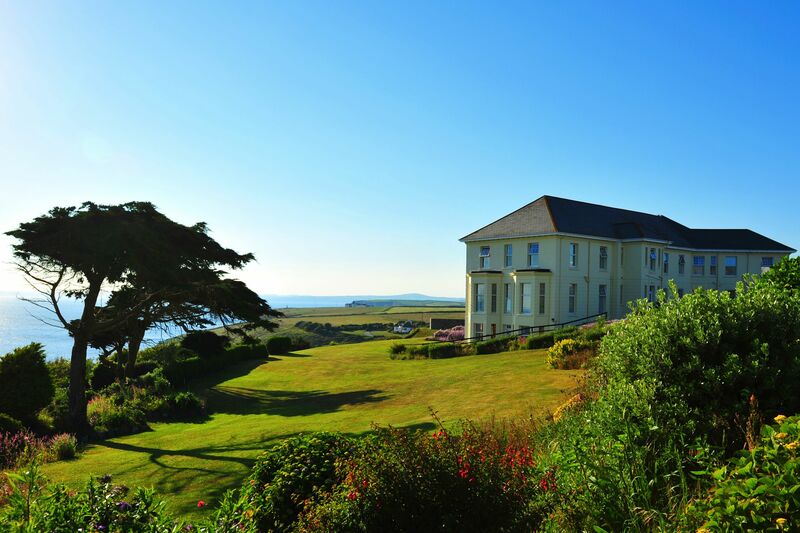 The Polurrian Bay Hotel is perfectly situated for anything in the West of Cornwall. 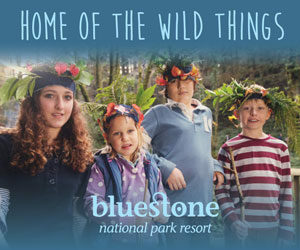 And above all, it is perfect for a family break away. TRAVEL REVIEW: Need to entertain three generations? Head to Cornwall! You’ll love it. Cornwall is beautiful!